They seemed like such a great idea when introduced widely early in the past century. But trans fats and their precursor partially hydrogenated oils (PHOs) appear destined to be banned following a Nov. 7 statement by the FDA that PHOs are no longer “generally recognized as safe” (GRAS). That was the agency "preliminary determination." Until about Jan. 8, FDA will be conducting a public comment period to consider whether the agency should finalize that determination and how long it would take producers to reformulate food products to eliminate PHOs. A final decision would mean the use of these oils would be phased out over a number of years. A little hydrogen gas bubbled through oil under certain conditions can turn liquid oils into any desired density, even into solid fat, without the use of saturated fats. Partially hydrogenated oils seemed like a healthy replacement for saturated fats, and they gave foods taste and texture, increased oil life and also the shelf life of products such as baked goods. But it was discovered they are just as bad as saturated fats in raising LDL "bad" cholesterol, and they also lower HDL "good" cholesterol, unlike saturates, perhaps doing more damage than saturated fats. Small amounts of trans fats occur naturally in beef, lamb, and full-fat dairy products. But most come from processing liquid vegetable oil to become a solid fat. Considering trans fat has already been eliminated from so many foods -- without people noticing much of a difference in taste, texture or price. But many more contain a trace, even with a proclamation of "zero trans ," if they contain partially hydrogenated oils. Citing scientific evidence, the agency said removal of PHOs from the food supply could prevent up to 7,000 deaths from heart disease each year. In 2006, the FDA required food processors to declare the amount of trans fat in their products on the Nutrition Facts label. 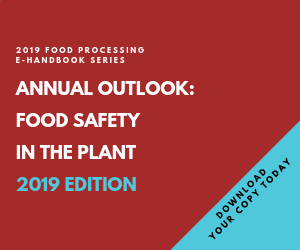 With public awareness growing of the health threat, many food processors already reformulated to reduce or eliminate trans fat in their products, but a substantial number of products still contain PHOs. Some of the biggest offenders include anything deep-fried, baked goods that use shortening, some frozen dinners and oil-based products that use PHOs to make them solid at room temperature, such as margarines and cake frostings.Most food processors we contacted said they saw this coming, whether they had eliminated trans fats or not. "We have been working to eliminate added trans fats from our portfolio for many years," said a spokesman for Pinnacle Foods, whose product lines include Duncan Hines cake frosting. "The majority of our portfolio is free of added trans fats and we continue to reformulate more of our products each year. For example, just in the past two years, we eliminated trans fats from our entire line of Celeste Pizza for One, as well as our Mrs. Paul’s and Van de Kamp’s fish fillets and sticks. We are committed to working with the FDA to ensure that all of our products meet any new guidelines." From our Processor of the Year ConAgra: "We took steps to remove partially hydrogenated oils from many foods in our portfolio years ago, including moving Orville Redenbacher’s popcorn to 0 grams trans fat per serving. We look forward to learning more about the FDA proposal." Processors can submit comments electronically at www.regulations.gov -- use docket number FDA-2013-N-1317.